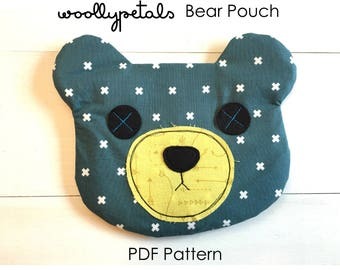 >>> A zippered pouch perfect for storing essentials in your bag or diaper bag, or a quick grab and go busy pouch for kids. 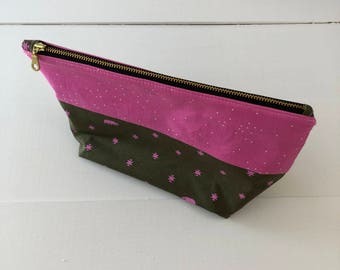 >>> This zippered Pouch has a boxed bottom and a zipper. 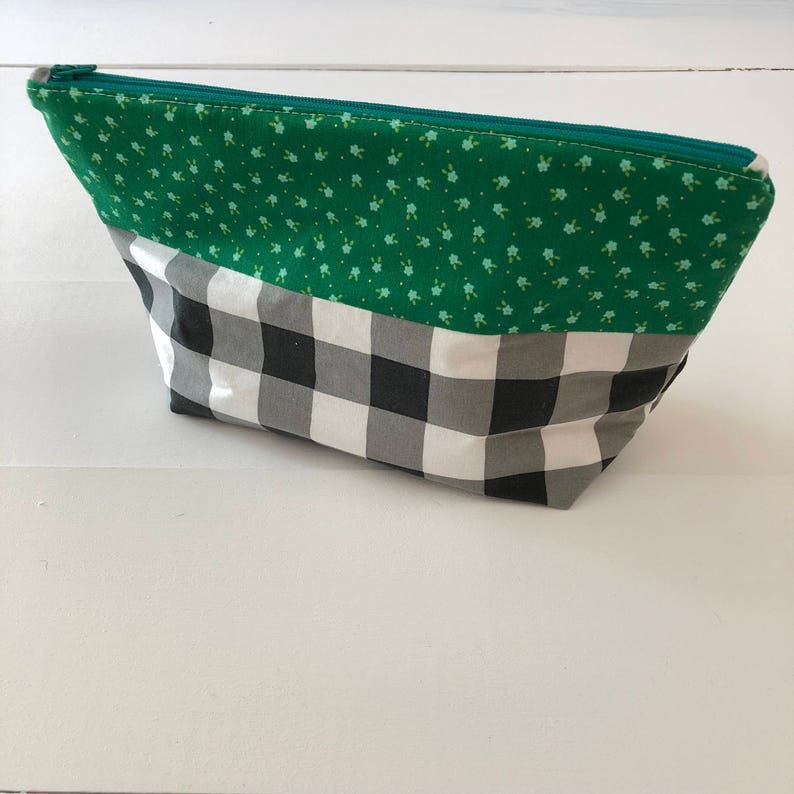 The black and white gingham fabric on the bottom is accented perfectly on top by a green floral fabric print. 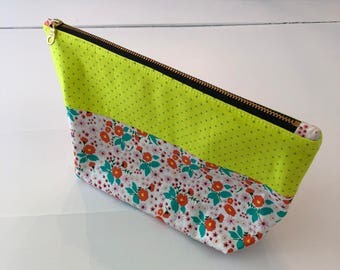 This pouch is lined in a aqua and white woodgrain that coordinates well with the floral. The zipper is aqua. 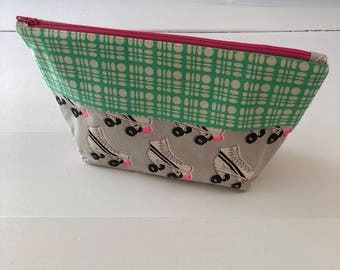 >>> This zippered Pouch measures 8"long x 6.5"Tall x 4"wide on the bottom and the zipper opening is 10" wide. All fabrics are 100% cotton, or wool felt. 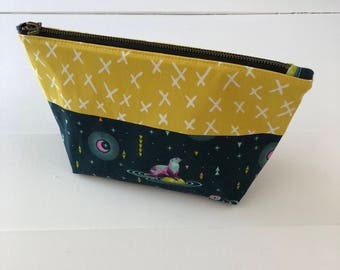 >>> This listing is for one zippered pouch as shown in pictures. 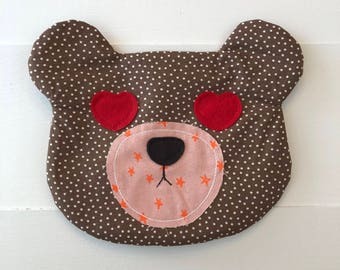 >>> Care Instructions: Your zippered pouch can be washed on cold with regular detergent and laid flat to dry. Iron out wrinkles if needed. >>> I do my best to portray accurate color in my photographs but please be aware colors can vary depending on computer and lighting. >>> All items sold in my shop are made by me in my pet and smoke free home. >>> I do my best to package your item as safely as possible. >>> All Domestic shipping includes tracking. Looking forward to starting this one, directions are clear and will be easy ro follow! Kristin was so incredibly helpful and accommodating! I know nothing about quilting and was tasked with what seemed a most daunting task. She responded immediately with exactly what I needed! Super impressed with her knowledge and excellent customer service!